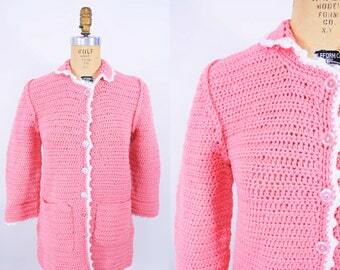 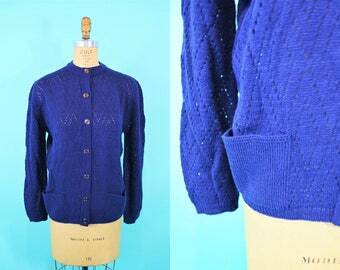 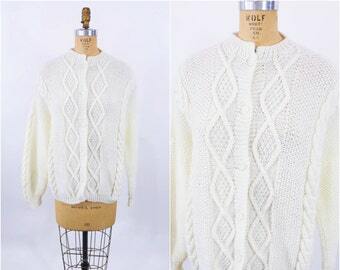 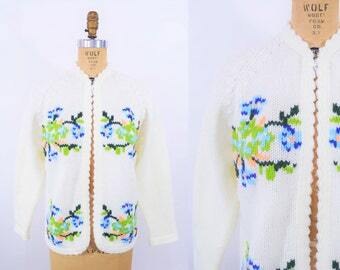 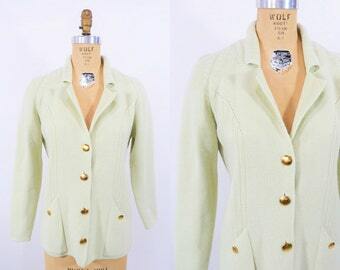 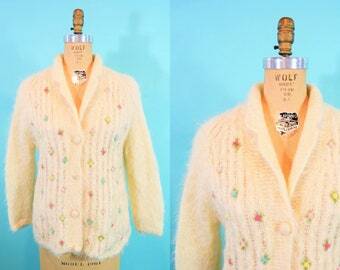 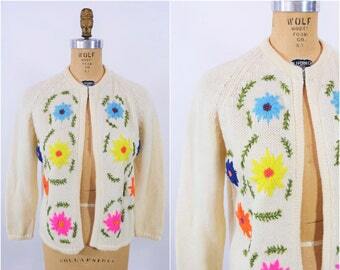 Get wrapped up in this 1960s cardigan! 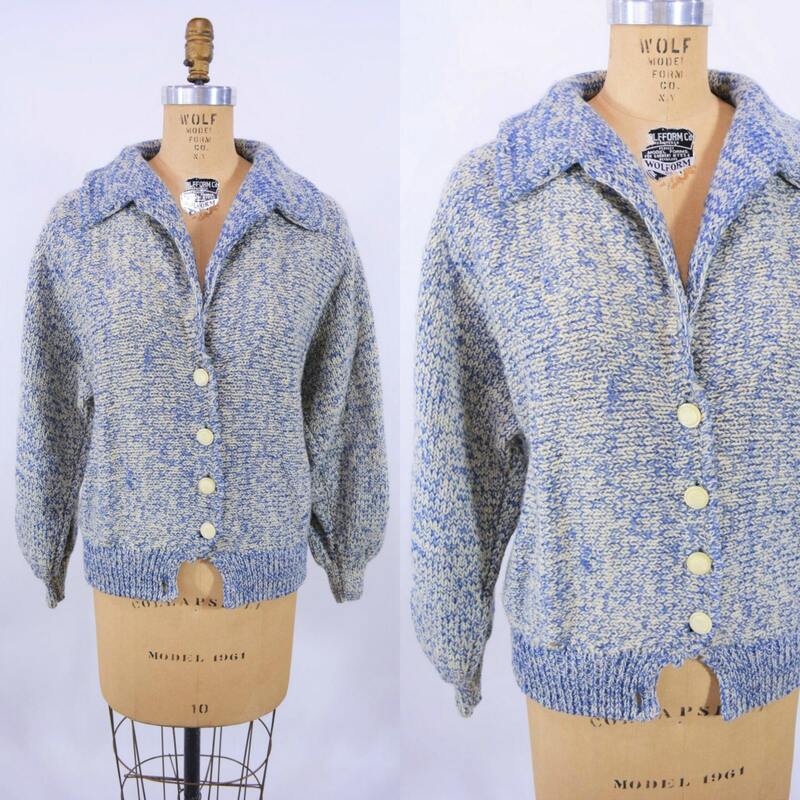 It has a thick knit of blue and cream threads in a marbleized pattern, waistband and big collar. 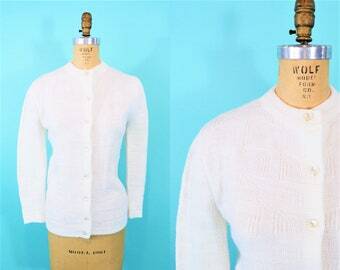 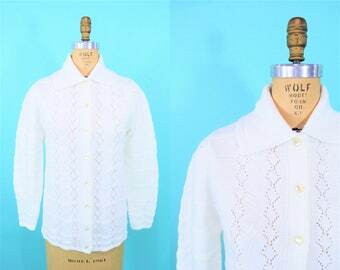 I love the thick pearly buttons down the center! 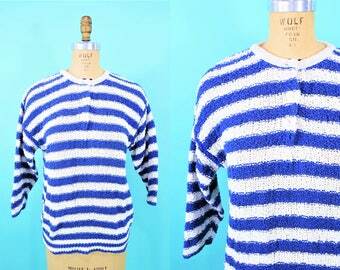 1980s stripe sweater | blue white Diane Von Furstenberg vintage pullover | W 28"